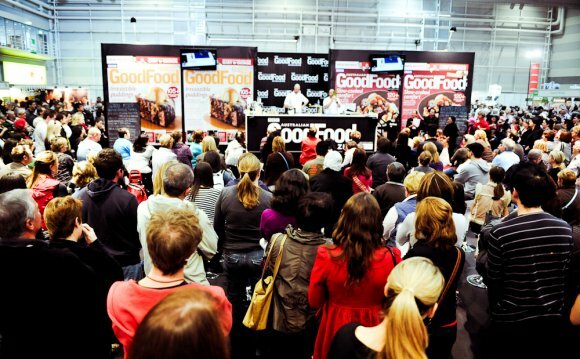 The Good Food & Wine Show will be in Sydney Friday 5 – Sunday 7 August. It takes less than 20 minutes to train from Central Station to Lidcombe Station, with over 100 services each day between 5:55 am and 11:38 pm. The Sprint service operated by CityRail travels between Lidcombe and Olympic Park Stations daily, every 10 minutes, and only takes 5 minutes. The Olympic Park Station is directly opposite The Dome, the location of the Show. During major events, avoid potential traffic delays on Homebush Bay Drive by using the recommended routes provided by Sydney Olympic Park. Please see the driving map here. There are five different bus services that operate to Sydney Olypmic Park. 450 – Hurtsville to Burwood & Sydney Olympic Park runs 7 days a week. 525 – Operating between Parramatta and Burwood via UWS, Rydalmere, Ermington, Silverwater, Newington and Sydney Olympic Park. 526 – Sydney Olympic Park Wharf to Burwood via the Sydney Olympic Park. 533 – Chatswood to Sydney Olympic Park via Mowbray Rd, North Ryde and Rhodes. Sydney Olympic Park is surrounded by Parramatta Road, M4 Motorway, Homebush Bay Drive and Silverwater Road. For short visits, such as meetings, there are ample two hour free parking spaces located on Grand Parade, Olympic Boulevard and Dawn Fraser Avenue. Visitors also have access to casual parking facilities in a number of locations across the Sydney Olympic Park precinct. Carparks P1, P5 and P6 are in close proximity to Sydney Showground. The rate is $5 per hour, up to a maximum fee of $25 per day.